Montañita, Ecuador: Our 2019 detailed guide from how to get there, where to stay, what to do and much much more! Home of beautiful white sand beaches and tropical greenery. Well-known for its laid-back, bohemian vibe. 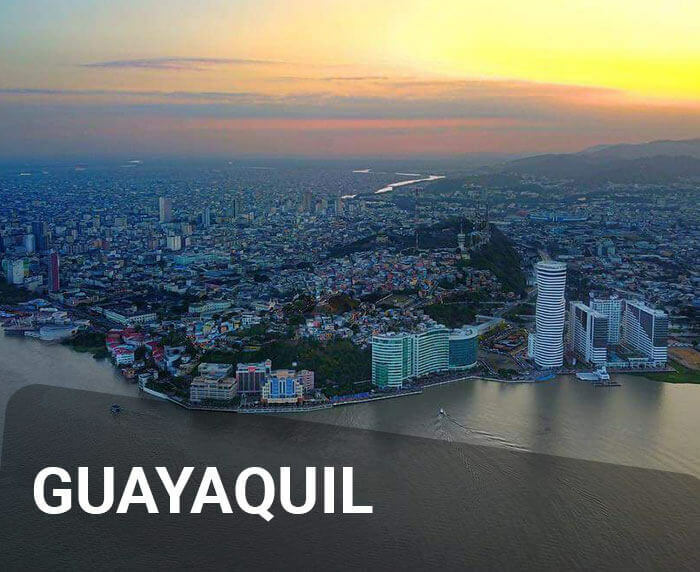 One of Ecuador’s nightlife capitals. 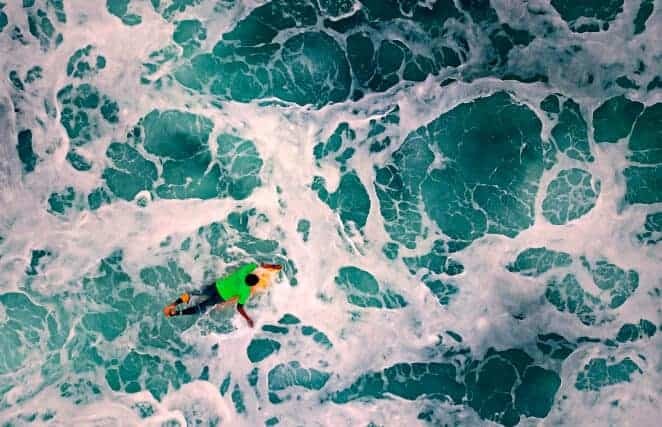 Famous among surfers for its strong surf breaks. How To Get To Montañita – Compare transportation options. 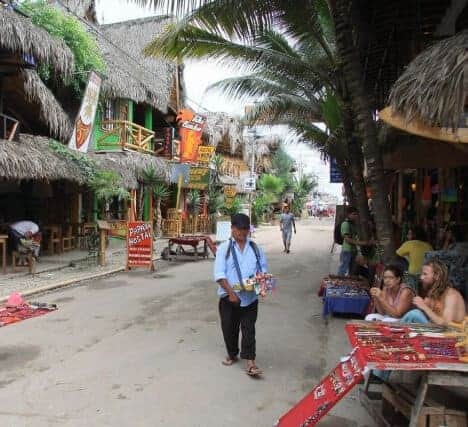 What to Do in Montañita – Activities to try in Montañita. 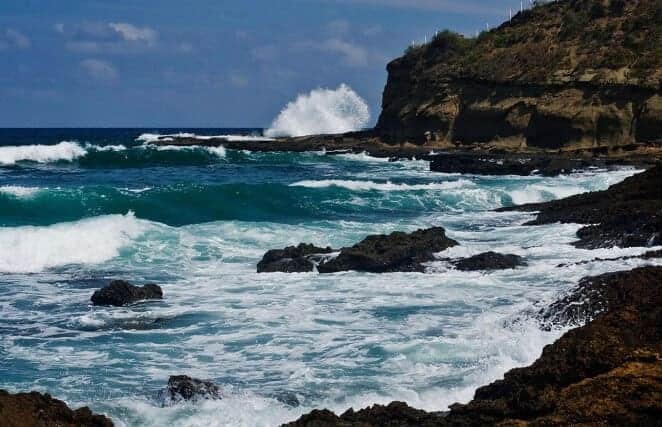 Montañita Safety Tips – Safety issues to be aware of. 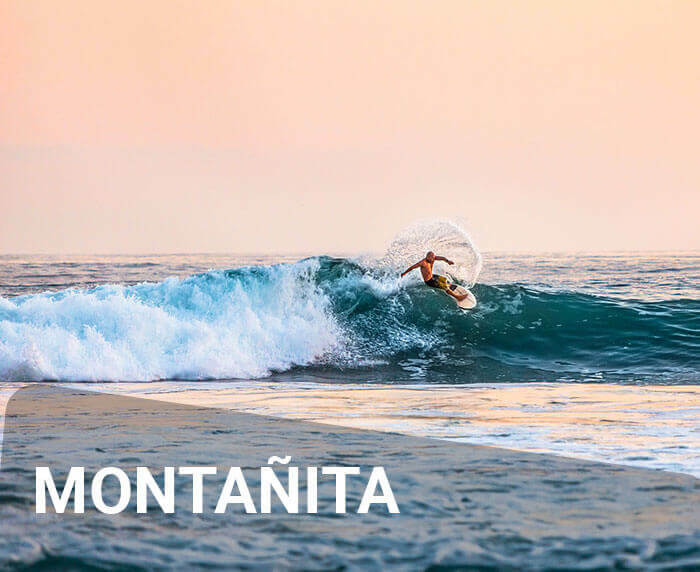 Photo Gallery – A few of the best photos of Montañita. 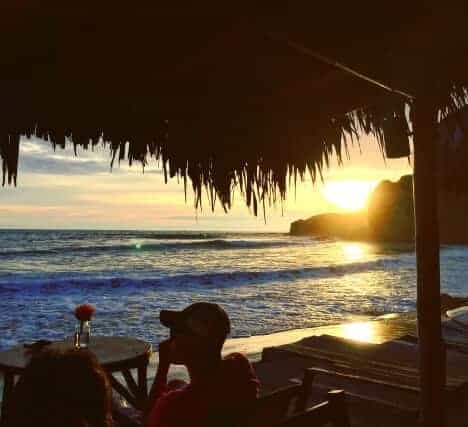 Below, we have created our extensive guide to Montañita based on our expert local knowledge and experience transporting countless people in Ecuador each year. 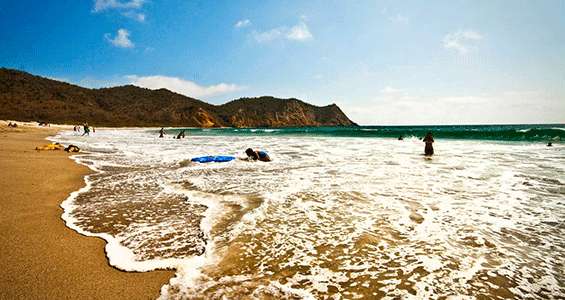 The town of Montañita is located in western Ecuador along the country’s Pacific coastline. 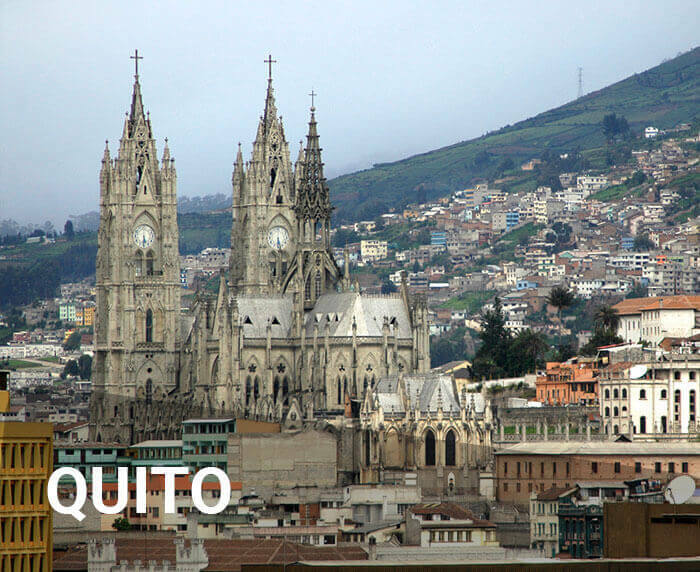 The best way to get to this beautiful beachside town from other places in Ecuador is to take an Ecuador Hop bus. Our hop on hop off service helps you safely travel throughout the country and see some real hidden gems along the way. 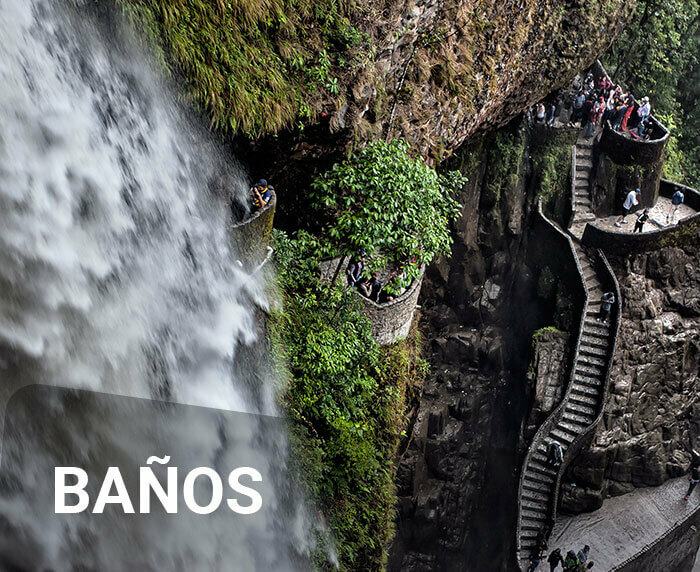 With Ecuador Hop, you’ll experience the best of the real Ecuador including many unique free stops, all on your own flexible schedule. 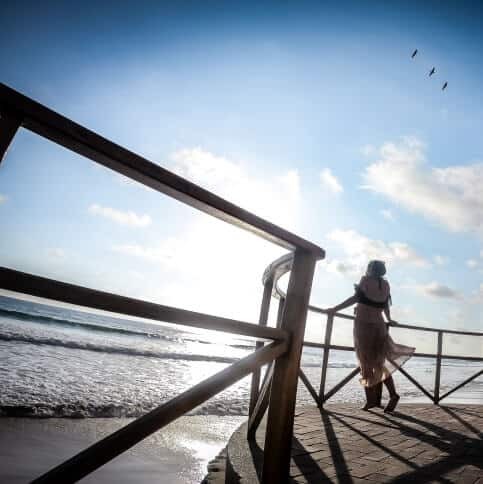 As one of Ecuador’s most beautiful beaches, Montañita offers the perfect opportunity to just relax on the beach. Make sure to set aside some beach time while you’re in town. 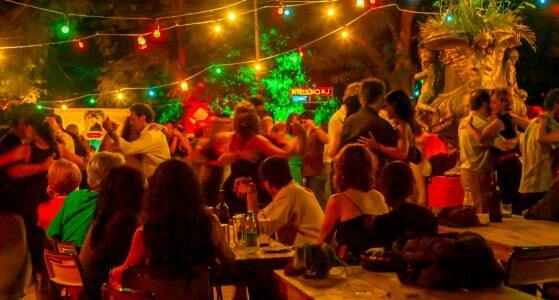 There is no better place to have a good time than in one of Montañita’s many bars, clubs, and hostels. Party the night away with cheap drinks, good music, and fun-loving people from all around the world in Ecuador’s fiesta capital. 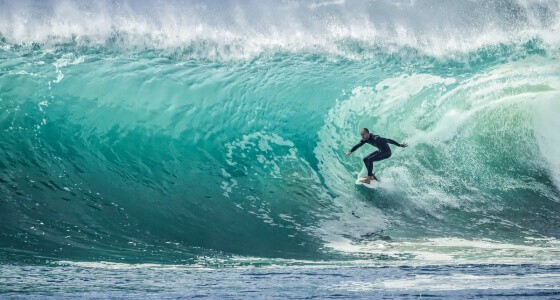 Montañita is known for having some of the best surfing around, with areas suitable for both beginners and experienced surfers. Regardless of your skill level, discover what makes this town’s surf scene so legendary. Join other beachgoers for a game of soccer or volleyball on the sand. Another popular pastime is yoga, and you’ll find plenty of people practicing their downward dog or mountain pose in the quieter areas of the beach. The warm, ecuatorial waters of Montañita are the perfect place to spot exotic fish species and marine wildlife. Go diving or snorkeling to see some extraordinary underwater ecosystems for yourself. Touch the clouds as you paraglide over the coast and see Montañita from above. Or if that doesn’t get your adrenaline pumping enough, take to the sea for some parasailing or kitesurfing. Boat tours are available are available between July and November to see humpback whales, who make the journey all the way from Antarctica to mate and give birth in the warm waters off Ecuador’s coast. Don’t carry too much cash on you. Take only what you’ll need for a few days. Try to avoid using ATM machines after dark, if possible. Avoid flashing valuables like cell phones, expensive jewelry or credit cards when in public. Don’t get distracted. Always keep an eye on your belongings.